1. See a celeb/friend/random stranger sporting a cute new ‘do. 2. Hold your hair back in the mirror to help visualize new ‘do. 4. Decide to go for it. 5. Describe new ‘do to stylist using lots of hand motions around your head. Throw out technical jargon like “bob”, “stacked”, “layered”, “feathery” and “razored”. 6. Feel your confidence wane as hair falls to the floor. 7a. Fake smile in the mirror and tell the stylist you love it through gritted teeth. 8a. Rush home to re-wash and re-dry. Decide if new ‘do is manageable. Possibly cry. 9. Realize your hair doesn’t look the same when you style it the next morning. (This is either a good thing (see 7a) or a bad thing (see 7b). 10. Swear you’ll never cut your hair again because it’s such an ordeal. 11. Notice over a few days that you’re looking shaggy. 12. 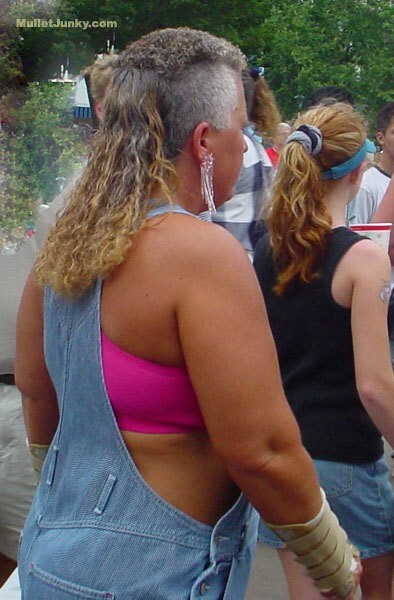 Fight the urge to call the stylist. 13. See an awfully cute new ‘do. I wonder what she asks for at the stylist? P.S. Sarah, if you’re reading this, I love you as my stylist and won’t go anywhere else while I live in Roxboro– no worries, it’s just the reality of the cycle! lol…oh my goodness do you know you just listed my life right now. I was supposed to get my hair cut last week but my daughters were sick. So here I sit with it in a ponytail! you nailed it. i go through steps 1-10 monthly. clearly, mullet woman didnt do a very good job at step 5. You took that femullet (say it out loud to get it) picture at the Rock Hill Wal-Mart. I’d swear it…Thankfully, my hair grows at lightning speed…great when I have a bad cut. Not so great when I actually like my cut. Happy growing. LOL! This is way to true!